What a tense week it’s been for Amanda and me! 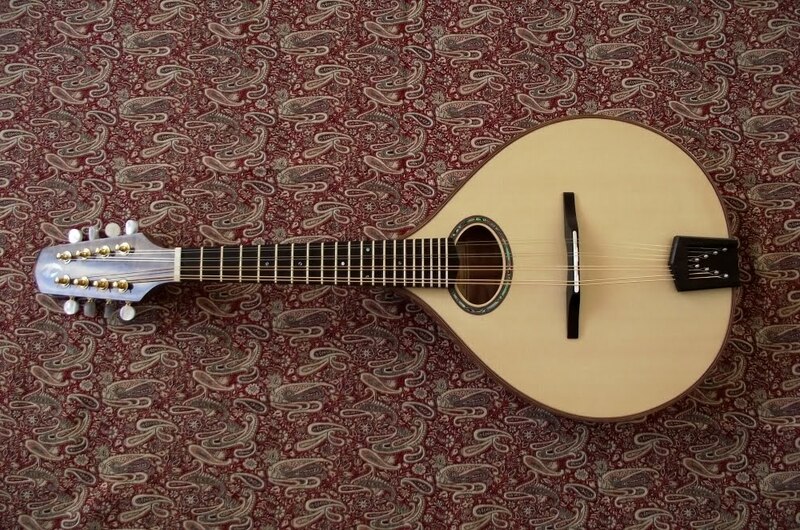 Last Sunday we packed Youhei’s mandolin ready for its 6000 mile trip to Japan and off it went with UPS on Monday. Being able to track packages is both marvellous and nerve wracking. From us to East Midlands Airport to Cologne, Germany to Hong Kong and finally Tokyo! You can imagine our relief when we received an email from a very happy Youhei! Here are a few choice photos of his mandolin; quilted maple back and sides, walnut neck, head overlay and binding, European spruce soundboard. I play the mandolin with pleasure every day. So what’s on the bench…..
Bad news for aspiring luthiers!